Coming to Latitude festival for first time this year with family.  Would love people's advice on best way to do festival with young kids as we are festival newbies. We have booked a campervan pitch - my kids are 3 and 7 - any advice would be greatly appreciated? How far is the campervan family site to the music stages ? What kids activities would you suggest ? How do you sign up to kids activities ? Can you take food/ booze on site or do you have to buy it on site ? What are the best stages to go to ? Any hints or tips to make the most of the experience?? We are going with 2 other families - can't wait !! Hey. I don’t have kids but have been going to Latitude for years so can answer a few of your questions. How far﻿ is the campervan family site to the music stages ?﻿ - Probably about 10-15 mins. It’s a small site so nothing is ever really more than 20 mins away. A lot of families have trolleys to drag the kids around in, think you can hire them on site. Can you take food/ booze on site or do you have to buy it on site ? - Officially no but the checks on the door are superficial so if you are bringing in loads of stuff with your kids I imagine you could stash it somewhere. What are the best stages to go to ? - Everything is great and as I said its so small that you can move around pretty quickly. If we don’t have a thing we specifically want to watch we always head to the Speakeasy and just watch whatever is on there and we often come across some gems. Any hints or tips to make the﻿ most of the experience?? - Get there in plenty of time on the Thursday if you can there is often some good stuff on the Thursday evening. If you ever want to watch something in the Film tent get there just before the thing before ends, it is small and often very very busy. If it’s going to be a hot one then bring umbrellas/parasols shade is very hard to find outside of a staged tent. Last year there were quite a few families with young kids dancing around at the disco shed until the early hours. As has been mentioned, it's fairly compact, and you'll know your way around very quickly. Don't feel that you have to hang around at the main stage area, there's so much more to see. Just get in and look around, you don't really need too much advice. You will love it and so will the kids. the family campervan to the music stages is a bit longer as have to go through all the family camping field and then through the children's area of the arena, but astill not too long. Loads of things for the.kids to do. A lot are free and my 4yo loved the pond dipping (need to book this), there is also rocket building (get to launch them) and numerous other activities. A few cost such as the old style fairground rides but are £1.50 a person so still good value. Signing up usually means going to the tent where the activity takes place. will need to do this early as they do get booked out, suggest booking first thing on Friday. Food definitely, alcohol into the campervan area (no glass allowed) but officially not into the arena though it can be sneaked in! Best stages depends on what you like. My fave is the sunrise set in the woods, great settign and usually great bands. The Obelisk can get a bit tiresome with all the peopel who station themselves there for the day and chat away, dpends what you want. Good call about the film and Music, it does get busy, also they may turn the children away as have age restrcitions on it, last year a few families got upset when turned away from Lump who were palying in there. Get there early on the Thuesday and orientate yourself with where the cmpervans are and the entrance ot the festival, arena usually opnes about 5pm and go to go in and wander around to see where everything is. Don't go with preconceived ideas but just enjoy teh experience, try not to have a rigid schedule but chose a couple of must sees each day nd then let the mood take you. Kids can have fun away from the kids area too.